Coffee lovers Dave Hartigan and Cat Menz, with the help of their trusty sidekicks Ava and Will, established Eyre Roasted in 2015 to fulfil their want for great tasting coffee. Dave began home roasting 4 years ago and quickly fell in love with the fresh aroma, taste and variety that came from buying and roasting his own beans. Soon friends and family were hooked on the amazing taste and the struggle to keep up with demand began! In late 2015, Dave and Cat purchased a commercial 5kg Has Garanti Coffee Roaster, custom modified to include profiling software to assure 100% adjustability and consistent high quality roasts – and ‘Eyre Roasted’ was born! Over the many years of buying green beans for home roasting, Dave developed a strong and trusted relationship with his coffee merchant who acts as the direct link between him and the coffee farmer at origin. 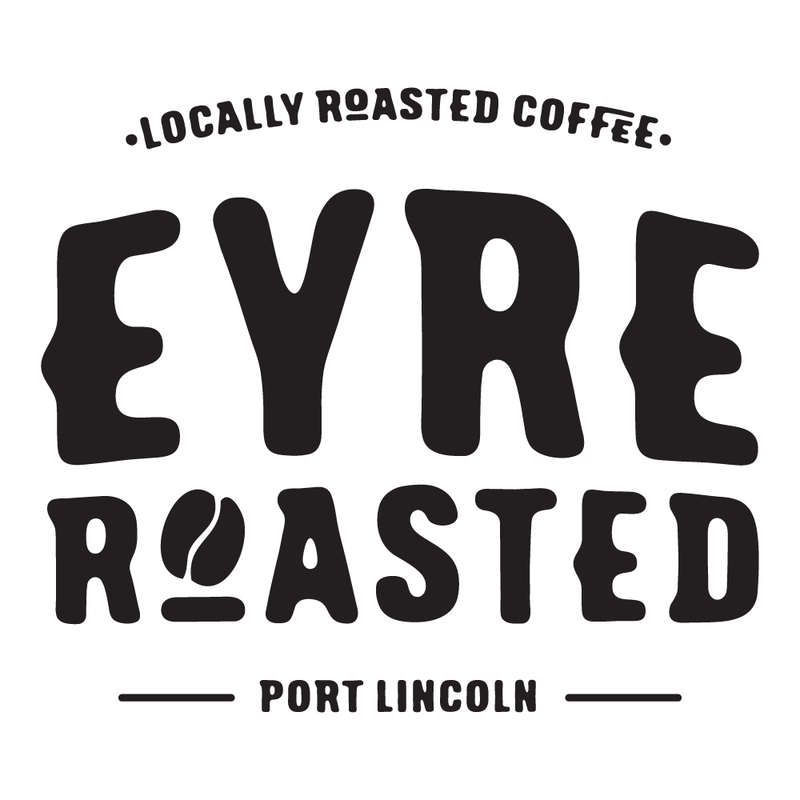 This expert contact has carried through to Eyre Roasted enabling him to buy the best quality ‘Specialty Grade’ green beans and in turn provide customers with the most unique and high quality coffee.